Thanks for the tip, maybe next month I'll color my hair again. I always trust Loreal products when dyeing my hair. It is so gentle and long lasting. 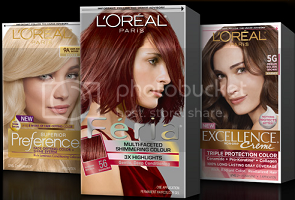 This is a very trusted product brand for hair coloring. That's such a steal for hair colors! Thanks for sharing! I want to have a highlights in my hair but I'm scared to do it and I don't like going to a salon lol. You got amazing deals Mommy N. I will need this soon as gray hair starts to show.